Wizard players, if there is anyone who is going to bless you with gold and treasures beyond your wildest dreams, it is going to be the Queen of Riches. This Ancient Egyptian-themed casino slot takes you into the heart of the Queen’s treasure chamber to give you the chance to see what you can win from her riches. Even though Ancient Egypt has been covered time and time again in the world of casino slots, this one comes with something a little different to keep punters interested. Big Time Gaming is all about quality over quantity. They may only have a handful of games available but each one delivers above and beyond what you would expect from an ordinary slot game. This Australia-based team of developers create games for huge casinos around the world, including Sky Vegas and William Hill, so they know a thing or two about what gamers want. Love Queen of Riches? View slot games here now for other games created by Big Time Gaming. The Queen of Riches will open up her treasure chamber just so you can have a look around. See anything that you fancy? However, she won’t let you take anything quite that easily. You need to first spin the reels that are before you to see if you can win anything. There are an impressive six reels and 117,649 ways to win. Just behind the game board, you’ll see the gold chamber background. There are decorative golden walls and two jackal statues sitting on either side of the board. Experience the abundance of treasures as you play one of the best UK slots! The colourful symbols on the reels are worth different amounts. The letters are the lower values while the picture symbols will bring you the biggest winnings. 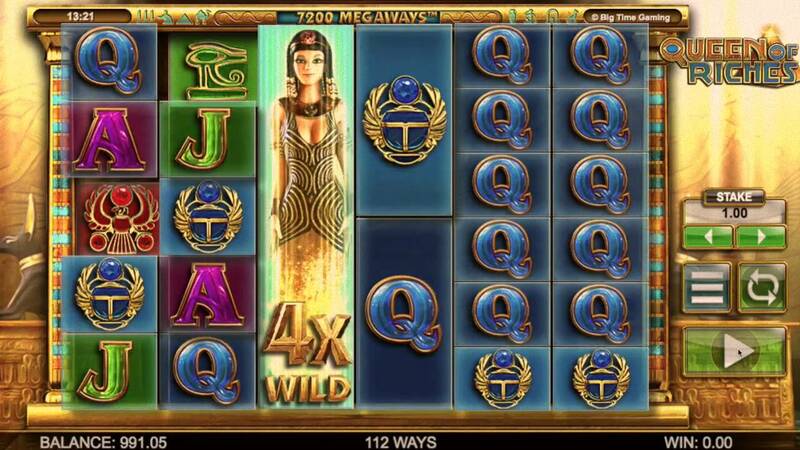 There are lots of Ancient-Egyptian inspired icons on the reels, including jewelled scarab beetles and golden pyramids. That’s not all, though, as there are a few symbols that can help you win a tidy sum of cash. * WILD SYMBOL – The Wilds in this game is extra exciting as they are full-reel Wilds. That means they will cover an entire reel and will replace all of the seven reels, making it a lot more likely for you to spin winning combinations. 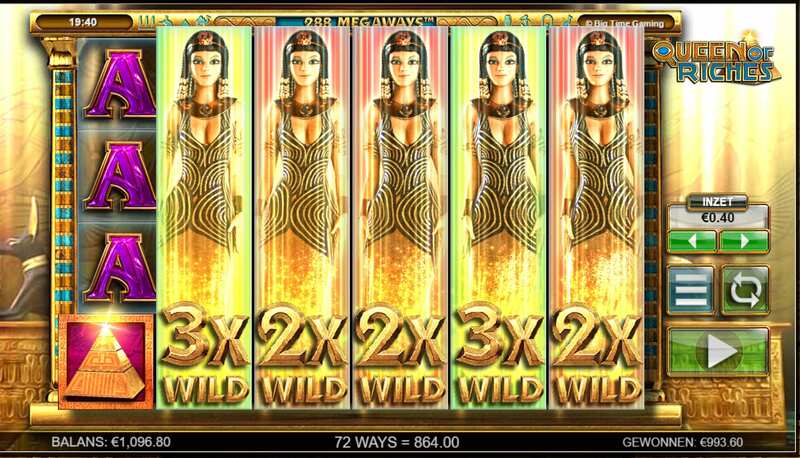 That’s not all, though, as these Wilds come with random multipliers, which will help to increase your winnings even further. * REEL CLONE FEATURE – Another feature of the game is the Reel Clone which will replicate six identical reels for any spin. This will even replicate your Wilds, so you could end up with a lot of Multiplying Wilds on the board at any one time!